With the cost of solar power plunging and retail electric prices rising, 100 million Americans in the nation’s largest cities will be able to “go solar” for a lower price than grid electricity in the next ten years. Seizing this opportunity requires rethinking electricity policy and planning even while solar produces less than 1% of the nation’s electricity. Investments in new centralized power plants and transmission could divert billions of ratepayers dollars from a democratization of the electricity system. At the same time, energy subsidies – for fossil fuels and solar energy – must be gradually transformed into barrier-breaking incentives that maintain the pace of growth and push solar into all corners of the country. Nearly 100 million Americans could install over 60,000 megawatts of solar at less than grid prices – without subsidies – by 2021. The solar opportunity is driven by converging economics: the installed cost of solar has fallen 10% per year since 2006 and grid electricity prices have averaged a 2% annual increase in the last decade. If the trends continue, there may be an outbreak of economical solar. 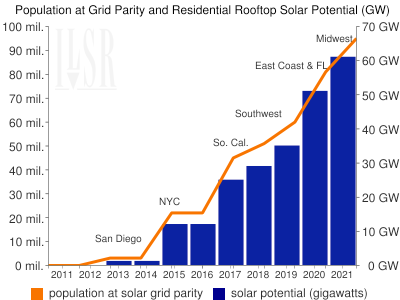 The following chart illustrates the number of Americans (from the top 40 metropolitan areas) that would be at solar grid parity and the potential amount of solar capacity that could be added to the grid at less than retail electricity prices in the next decade. Nearly 100 million Americans could install over 60,000 megawatts of solar at less than grid prices – without subsidies – by 2021. Expanding the analysis to the entire country, and to non-residential rooftops could more than triple the solar potential and drive down costs. 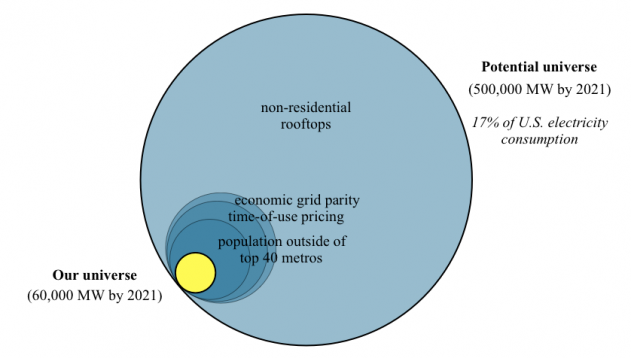 The potential for solar grid parity may be much larger than the chart suggests because it is limited to residential rooftops in the top 40 metropolitan areas of the United States. Expanding the analysis to the entire country, and to non-residential rooftops, could more than triple the solar potential and drive down costs. Furthermore, innovative time-of-use electricity pricing could help advance the year of the solar crossover. 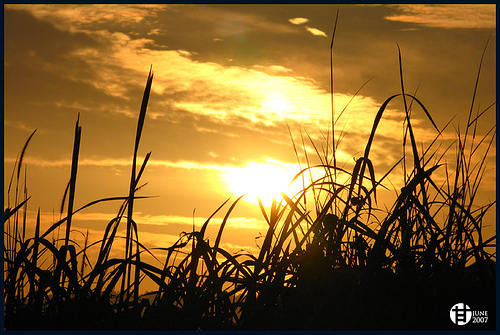 The opportunity of solar grid parity goes beyond the benefits of solar power for the masses. It suggests a future that transforms Americans from energy consumers into producers and gives them a stake in electricity production and energy policy. 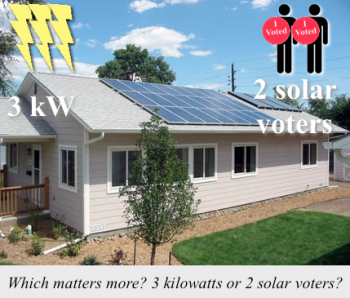 Each house with a solar rooftop has (on average) two voters who will strongly support smart solar policies. And when half of Americans can install solar for less than the cost of grid electricity, it makes a majority that favors local ownership of localized energy production long before solar power becomes a significant portion of total electric generation. A major technical roadblock to realizing the full potential of solar grid parity is the so-called 15% rule, a common state regulation that limits the amount of solar on a utility’s distribution grid to 15% of the peak demand. However, recent research shows that the 15% rule is too conservative, and that there are minimal impacts when distributed solar supplies 25% or more of the power to the local electricity grid. 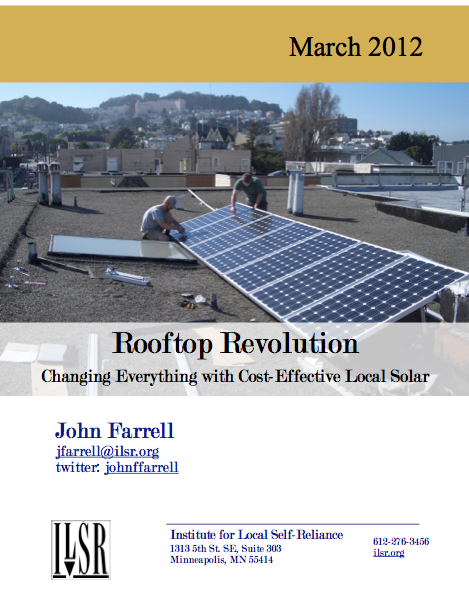 Distributed solar [can supply] 25% or more of the power to the local electricity grid. Other barriers can also be overcome by the proper policy design. One concerns permitting fees. 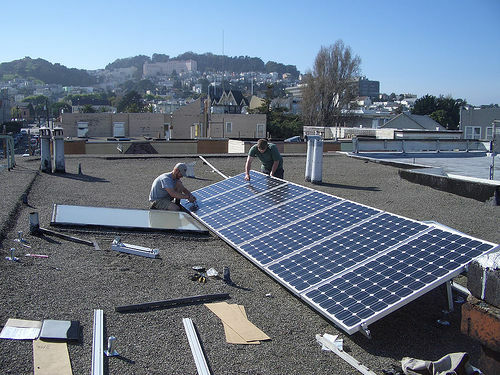 Currently permitting fees alone can currently amount to as much as 20 percent of the cost of a solar PV array, but new best practices (such as expedited review based on a checklist, email rather than in-person permit submission, etc) have cut fees in some communities fivefold, to less than 4 percent of project costs. Net metering is another policy that needs an overhaul. Simply put, net metering allows for a buyback of solar power at the retail rate for electricity consumed on site and new “community net metering” lets people share the output from a common, off-site solar project. But a number of states cap the number of net metering systems at 5% of total system load or less. The policy can also lead to less cost-effective solar, as individuals are encouraged to optimize the balance between consumption and production, rather than optimizing the economies of scale of solar by covering their rooftop. 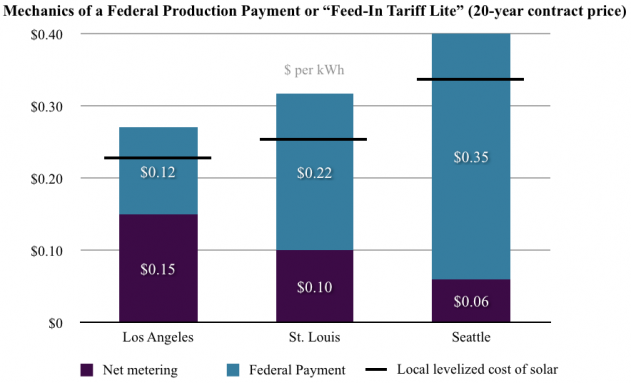 Net metering may also prove problematic in the long run, as the cost of solar dips far below the retail rate (leading to overpayment to solar producers) or if solar drives down the cost of electricity (leading to insufficient payments). Net metering is a good policy to get solar started but moving to a much higher level of energy self reliance will require new thinking and new approaches. 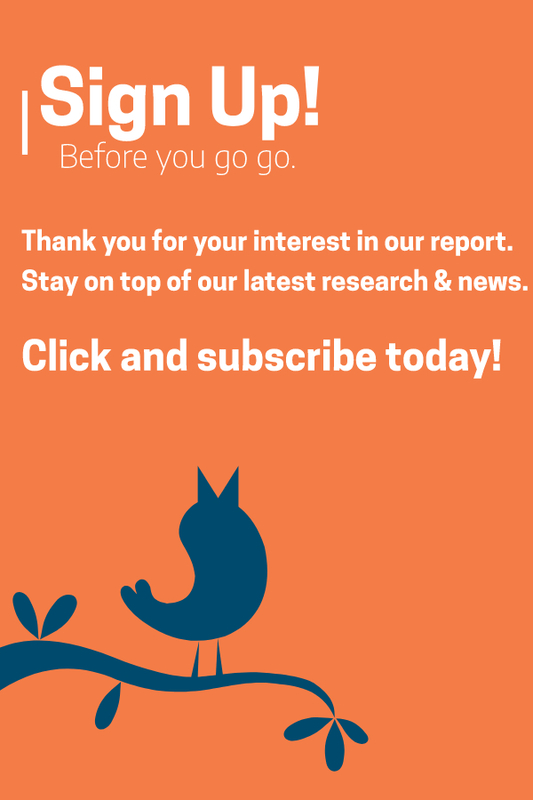 An Opportune Time to Plan for Phasing Out Solar Subsidies? The most serious barrier is the potentially serious disruption posed by the looming expiration of the federal 30% tax credit (in 2016). A thoughtless extension will enrich solar developers in some regions of the country at the expense of taxpayers; an abrupt expiration will seriously affect the solar market in the many regions that have not reached solar grid parity by 2016. A hybrid policy approach is needed, whether to phase out the federal tax credit in a fashion that is geographically equitable or to shift to a feed-in tariff strategy to be more comprehensively prepared for the economic issues of grid parity. The best transition policy may be a feed-in tariff, as is used in solar-leading countries like Germany. On a per capita basis, Germany installs as much solar per year (35,000 MW) as the U.S. would need in total (30,000 MW) to reach its residential solar grid parity potential in 2018. This solar financing tool is not a tax credit, but is a combination of a long-term power purchase contract, a guaranteed grid connection, and a contract price sufficient for a modest return on investment. The contract provides secure financing for solar projects, reducing borrowing costs and the cost of solar electricity. In contrast to the hodge-podge of incentives for installing solar, it would provide an all-in, long-term contract for solar producers that would remain transparent and predictable and flexible as market conditions change. The feed-in tariff would also solve the two major problems of the tax credit, the inability of schools, cities, and other public entities to use it and the inherent inefficiency of finding project partners who can consume tax credits. Even without a feed-in tariff, the federal government could replace the tax credit with a cash-based production payment that would provide revenue for solar projects in addition to local net metering rates (a Feed-In Tariff Lite), or simply switch the tax credit to a cash payment. In either case, the incentive could decline over time, while still solving the inefficiency problem of tax credits. By 2050 the energy need will grow between a factor three if you assume a historical low growth at 3% annually. If you assume that we successfully reduce climate gas emissions to 1990 level then renewable energy will deliver 80% of the energy as electricity which will require eight times the electricity generation we have today. Solar will be a great part of that. By 2021 solar installations should drop by way more than 50% larger more professional organizations with automated procedures and proper grid legislation should ensure that Americans get access to solar installations at the same price point as in Europe. The big chunk of solar power will however be utility scale in both the US and worldwide. In order to realize competive RE you need to focus on grid development in US. A nice dream but good luck fighting our privatized grid players. Big corporate interest (SCE, PGE, SDGE..etc) is leaving no legislative barrier unguarded as they influence local codes, state and federal laws. They prefer centralized energy production as it centralizes their profit margins. Now they are selling the public big solar plants in the desert and windmills as “green”.